I first noticed that something new was coming to the space at 11916 Wilshire Blvd. that formerly housed the fusty Western Los Angeles fixture Divita’s Pizzeria back in January, when window paper promised a new restaurant and wine bar brought to us by Vincent and Chase. 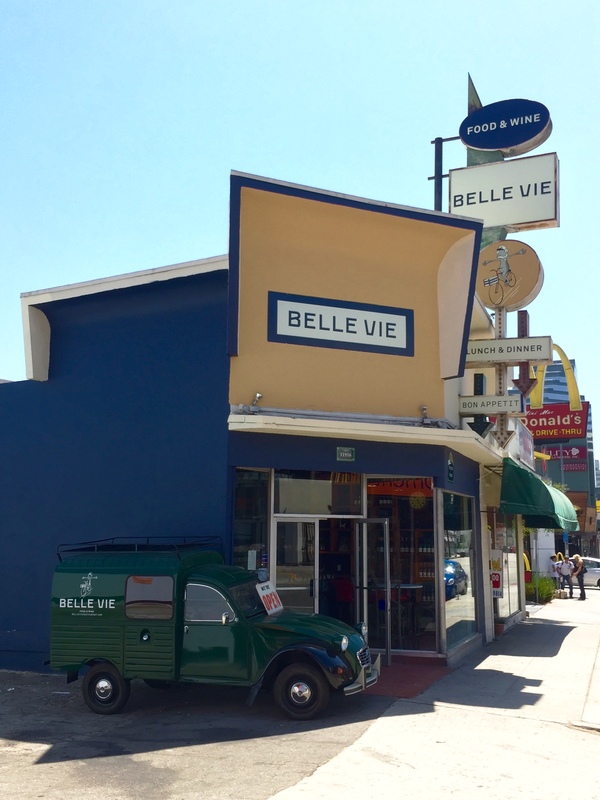 Then in June, Divita’s iconic sign was changed and let us know the name of the new wine bar: Belle Vie Food & Wine. 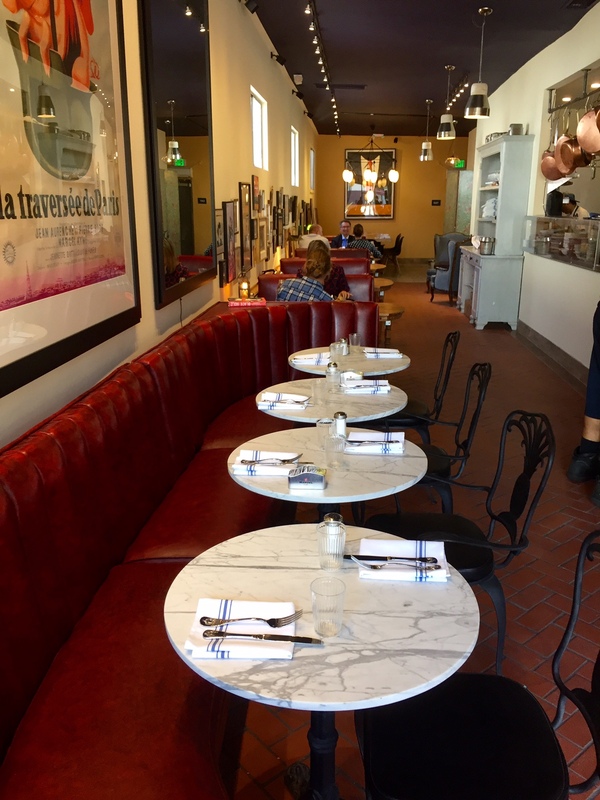 On Tuesday, Belle Vie (which means “beautiful life” in French) threw open its doors for the first time. The new eatery is helmed by Vincent Samarco and Cedric Nicolas, both of whom have cut their teeth in Paris restaurants. 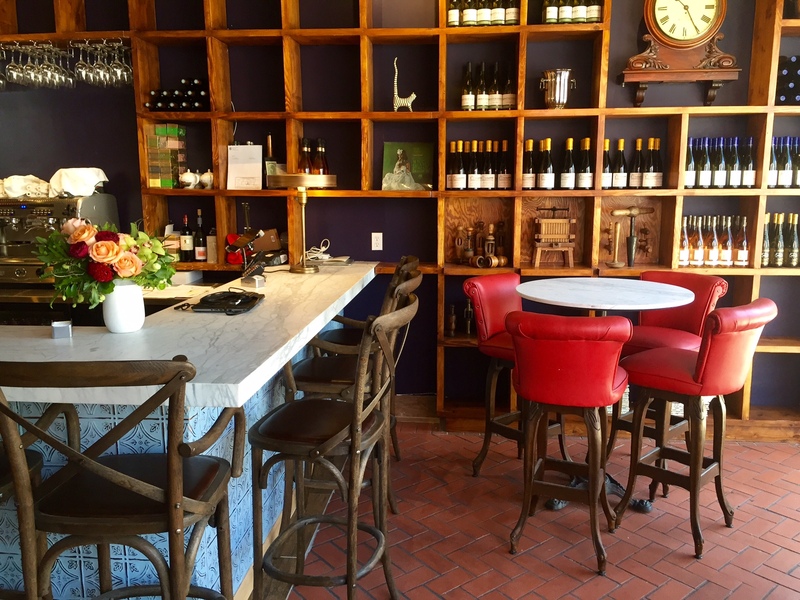 Expect a French-leaning menu (moules, frites, charcuteries, fromages, French wines) that also includes a few surprises like mac and cheese, gravlax, devilled eggs, and “Burgundy tacos“, all served in a cozy, neighborhood bistro and bar with warm service. Check out their website and read more here.